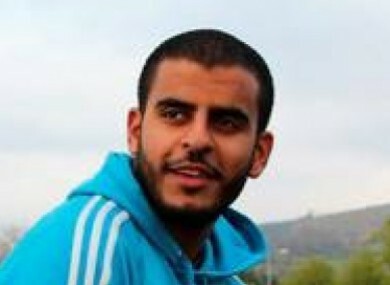 IBRAHIM HALAWA HAS had contact with family in Egypt today. Sinn Fein MP Lynn Boylan visited Halawa in prison today, and said on Twitter that it was the first time he had “human contact” with members of his family in months. He has been in prison in Egypt for two years. Boylan said yesterday that Ibrahim’s family and families of other prisoners had been “left outside court” yesterday waiting for news for five hours in 36 degree heat. She said she has concerns about his health and is calling for him to see a specialist doctor as soon as possible. “I am delighted that through my role as an MEP that Ibrahim was able to have contact with his family for the first time in months. To see the nineteen-year-old hug his big sister would break your heart. He clung tight to her hand the entire time,” she added. Earlier, Minister for Foreign Affairs Charlie Flanagan has said it is “premature” for the Taoiseach to directly intervene in the case of Ibrahim Halawa, despite the fact the young Irish man has been held in an Egyptian prison for two years. Yesterday 19-year-old Halawa’s trial was postponed for the eighth time. It is now listed for 4 October. He needs to follow the example of the Australian Prime Minister Tony Abbott who successfully intervened in the case of Peter Greste. Once he judges that the time and circumstances for this intervention are right [he will intervene] and all the informed advice received to date suggest that it would be premature to do so before the current trial. He said he expects Enda Kenny may make moves towards direct intervention later this year. Halawa was arrested along with his sisters in August 2013 during a protest at a mosque in Cairo. His sisters Somaia, Fatima and Omaima were released after three months. They are now campaigning for their brother’s release and are running the ‘Free Ibrahim Halawa’ Twitter account. Senator Daly yesterday pointed out there “remains no end in sight to this ordeal for Ibrahim despite the fact that he has now been stuck in prison without trial for 715 days”. Reprieve, a prominent Human Rights organisation, have pointed out that Ibrahim has been subjected to torture while in prison and has not been afforded a fair trial. “The Taoiseach needs to pick up the phone to the Egyptian President Abdel Fattah el-Sisi and ask for Ibrahim’s release without delay”. “This is devastating news for Ibrahim’s family who are in Egypt today for his trial. The judge has said that nobody will be released before 4 October, with no chance of bail for Ibrahim before that date. Ibrahim’s family were not allowed to attend the trial or meet Ibrahim. They were left to wait outside in 36 degree heat without shelter. “Ibrahim, who suffers from a medical condition, has been denied medical treatment despite repeat requests by his lawyer. Executive Director of Amnesty International Ireland Colm O’Gorman said, “In this system, there is no justice – there are no human rights. Amnesty International has declared Ibrahim Halawa a Prisoner of Conscience based on eye-witness evidence that he could not have carried out the acts he is accused of. He is being detained solely for peacefully expressing his right to freedom of expression and assembly. Email “Ibrahim Halawa has first 'human contact' with family in months”. Feedback on “Ibrahim Halawa has first 'human contact' with family in months”.